The LECOM School of Dental Medicine has opened dental group practice offices to provide patient care at the LECOM Bradenton campus. 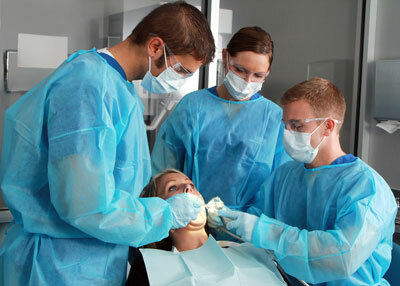 The primary role of the LECOM School of Dental Medicine is the training of dentists. This is a teaching institution and not a private dental office. The care performed by LECOM student-dentists is overseen by LECOM faculty and done in a manner that gives priority to education and quality care. This may result in longer appointments for most treatments than would occur in a private dental office. Treatments will include all general dentistry care that the student-dentists are qualified to perform. For more information on the clinic and your rights as a patient, please review the clinic brochure. LECOM Bradenton Dental Patient Information and Bill of Rights. For information on the dental clinic patient privacy rights (HIPAA) click here.